Study: Changing Land-use Not Global Warming to Blame for Increased Flood Risk | Watts Up With That? Major flood events occur around the world every year, but with international loss databases documenting increased incidents of flooding, more material loss and greater fatality rates, are these events on the increase, and are they getting worse? A new study referencing the IPCC SREX report finds a surprising answer. A new study published in Hydrological Sciences Journal examines the key reasons for increasing frequency and severity of floods; considering whether this is due to improved reporting by the media, an increasing and expanding global population, or whether climate change is the crucial factor.The authors combine the outcomes of the IPCC Special Report on “Managing the Risks of Extreme Events and Disasters to Advance Climate Change Adaptation” (SREX report) with more recent research to give a rounded view of the cost of flooding (both human and material), the causes of increased flood risk and predictions of future global flooding patterns. Studies have shown that there is a clear link between population density and flooding. Currently 800 million humans are living in areas vulnerable to flooding. This is predicted to rise by a further 140 million during 21st Century as we see continued economic and population growth. At the same time reduction of woodland, changing river flow and the urbanisation of flood plains will increase flood risk in many regions. The SREX report established a link between the human impact on the global landscape and occurrences of heavy precipitation leading to greater flood risk, and predicts an increase in rain generated flooding this Century. At the same time the report concluded that there was a lack of research identifying, in a persuasive way, an influence of anthropogenic climate change on global river flooding. 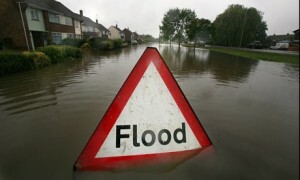 Whilst scientists recognise that climatic factors such as atmospheric water vapour, evapotranspiration, snowmelt, temperature sequences, ground water and soil moisture content can all contribute to flooding; further long term study of regional flood patterns is needed to fully understand how a change in the climate could alter these climatic factors and impact on future flood risk. Furthermore, whilst climate change and greenhouse gas emissions are strongly linked to flooding, the relationship is very complex, and to date neither empirical analysis nor data modelling has been able to accurately describe the connections. The authors urge governments, scientists, engineers and citizens to use practical precautionary strategies to limit regional flooding sooner rather than later, because conclusive scientific evidence linking greenhouse gas emissions and flooding will be a long time coming. January 23, 2014 in flooding, Land use land cover change, Weather. So why are they fingerprinting “climate change”, presumably due to “anthropogenic greenhouse gases”, before the needed research even begins. Even when AGW is clearly not the main culprit everything is predicated on it taking over at some stage. The bias is in place before the studies even commence. LOL!! The reason flooding has become a major problem is that governments (including USA) subsidize flood insurance in flood plain areas. Under a free-market insurance system, the cost of buying insurance in a flood plain area would make it cost prohibitive for most people to build structures there. Flood plain areas might be suitable as pasture land where animals could be moved to higher elevation when a flood warning is issued, but if flood incidence is too high, the economics won’t allow even that land usage. Whenever governments subsidize/bailout bad behavior, It’s guaranteed there will be more bad behavior. If the government bails out bank losses on risky/insane “investments”, then there will be more banks making risky/insane losses. if governments subsidize building on flood plains, there will be more buildings wiped out on flood plains… It’s simple logic proven by history. Governments can build very expensive dikes/levees and embankments to minimize flooding and lower flood insurance premiums, as long as someone does the math/engineering/economic cost/benefit analysis prior to such massive construction is conducted. After the flood they look at the map and say, Oh, that’s what floodplain means. Petitio principii, why did Big Al Gorical spend around $4M on sea front property, if sea levels are going to rise inexorably by 2100? According to his prophecy, it should be worthless & house/propoerty prices in such locations should be plummeting! Unfortunately, such properties in places like Sandbanks, Nr Bournemouth, UK, a millionaires paradise, are rising – constantly, I dare say in the Virginian Colonies are too in similar locations! About time this was published – nothing many of us have been saying for years. You build near ocean or river flood plains then you better expect to pay the price. You build on hillsides made of mud then you better expect to pay the price. You build cities is dry areas then act surprised when it is dry – I have no sympathy for any of you. But when we all have to pay for that stupidity then I do get angry. The tragedy of this in parts of the UK, from where I originate, is that whereas traditional villages were built on stony, well-drained soils, often on shallow slopes at the foot of hills or escarpments (often on tongues of stony, Ice Age erosional debris), the more recent 80s, 90s and 2000s sprawl of residential estates has been built on low-lying, flat, fertile alluvial plains that are some of the richest agricultural soils. The reason for this is simply that it is far more profitable to buy up nice flat fields, meadows, run a bulldozer over the the top to take off the vegetation, trench in the services into soft clay soils with a backhoe, and then concrete, asphalt and build over the lot. Gentle slopes and rocky or stony soils require a great deal more site preparation work and expense, and so provide more difficulty and less profit to the developer. The disaster of this is that: a) much the best pasture and agricultural land (land that has been grazed, cropped, fertilised and enriched over many hundreds of years), is being covered over and destroyed, and b) the people who unwittingly buy houses in these new developments are frequently buying properties built upon poorly-drained, clayey flats and alluvial flood plains, which rivers have been spilling over onto at regular intervals, every time there is a period of sustained heavy rainfall. Obviously people have to live somewhere, but it would make far more sense from all points of view to stick to the more traditional pattern of settlement, on higher, well-drained, stony slopes, which are ideal for human habitation but pretty much useless for anything else but grazing sheep. So much of the flooding that has been making the news in the UK is probably more of a failure of town planning and the ignorant guidance of short-term economic imperatives than anything else. Two reasons why flooding is increasing, in the UK at least, is increased runoff due to building density increases and lack of river maintenance. If rivers were dredged correctly then the increased runoff would be coped with. It is all down to money and poor policy that directs resources to conservation and ecology instead of homes and livelyhoods. Policy makers forget that the environment was better before they started to poke their fingers into the environmental mix. Speaking of floods lol check this insane charge a man got for getting water!! It’s worth noting that this is not saying that climate change will have no effect. It is saying that other factors (local planning for instance) will have a far larger effect. This is actually the mainstream sceptic position. Not that AGW isn’t happening but rather that AGW isn’t very important. And by “mainstream sceptic position” I mean “what I think”. So why are they fingerprinting “climate change”, presumably due to “anthropogenic greenhouse gases”, before the needed research even begins. “Climate Change” and “Greenhouse Gases” are the get out of ‘jail free cards’ played to get grant money. You will see those ‘Politically Correct’ words or “Sustainable” attached to everything and anything in order to get approval from governments and activists. M Courtney: also what I think. Realistically there is absolutely NO proof that there is any AGW (well, nothing related to GHGs in any case). 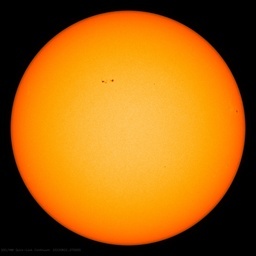 However, what human-caused climate alteration there might be is completely overwhelmed by other factors. Incidentally, here in Calgary we’re still dealing with fallout from the June floods. To the average person on the street it’s somehow “proof” that the climate is altered. To the more enlightened it’s a demonstration that stupid land use (we have our city zoo on an island at the intersection of two major rivers… duh) and failing to learn from history (the flooded areas have ALL flooded many times in the past) will continue to cause losses from flooding. I am just waiting for the next major hurricane similar to 1996 Hurricane Fran (category 3) to head inland. All those house will be flooded, especially if it has already been rainy like last summer. The stupidity of people never ceases to amaze me! Originally, when livelihoods depended on the rivers as being part of system as opposed to pretty things to look at, we had well dredged and maintained river courses, with occasionally filled catchment areas/flood plains spread along their course to buffer the flow in times of stress and people whose sole job it was to locally monitor weirs, dams and locks to keep things on track. Now we have poorly maintained river beds, with built on flood plains, with only remote monitoring of the weirs, dams and locks and cannot ‘see’ what is the problem. The BBC wastes no opportunity to blame the flooding on AGW, with no attempt at balance or looking at other causes. People aren’t stupid, they know what is happening in their local area and they despair when they see new building on land they know gets flooded. Then they wonder why the science isn’t trusted. Where my parents live in Hampshire, England, they live on one side of a hill of a valley. When we moved there there were few houses in the dip in the valley, facing north the houses were on the left. There was “wet” farmland to the, lower lying, right. Between my last time living there and my last trip there in 2003, hundreds of houses have been built in that dip in the valley, on the right. The road that divides the houses that dont flood, and the new houses that do, is called Green Lane. Duh!!! Climate change affects on sea level and inland flooding might be a legitimate issue in a century (though that’s not how I personally would bet). But it should be apparent to any individual with two neurons to rub together that current problems are due mostly to building the wrong sort of infrastructure in the wrong places, poor memory, short and often none too good historical records, and random variation. The BBC wastes no opportunity to blame the flooding on AGW, with no attempt at balance or looking at other causes. Not always true – I saw a report a few days ago on lack of hedgerows and woodland on hillsides being to blame for flooding. As everyone over 50 in the UK will remember, when youy went for walks in the country side, every field was surrounded by hedges or woodland stripts, and typically the lwer part of every field was sodden in winter. This is due to run-off from the field, which is poor at capturing rain, being blocked when it reached the tree line. But on modern hillside farms, there’s nothing to catch the runoff – so it heads down to the stream, to the rivers, to the floodplains, and to the problem. This also results in summe drought as the water table isn’t being topped up properly. SO there are efforts underway in various parts of the country to rectify this in various ways. One is simply to regrow the hedges and tree lines, but the farmers don’t like that. The other plan is to build dams, out of tree trunks, in the streams. This does nothing in normal weather, but during heavy rain you get a pond forming behind the dam, thus slowing the water supply to the flooded areas, and improving the local water table as well. And all this was reported on the BBC by one of their enviro-correspondents, with no mention of AGW. In the 1970s the belief was that the least costly solution (least costly to the US Government) would be to buy all coastal property, tear down the buildings and return the land to its natural state. Cheaper than offering insurance below actuarial cost. Didn’t happen. Taxpayers in South Dakota are still subsidizing waterfront condos in the Outer Banks. WASHINGTON — Members of Congress from coastal states including Massachusetts are banding together across party lines to respond to a rising tide of constituent complaints and reverse increases in federal flood insurance premiums mandated by a bill passed in 2012. They’re responding to complaints from people like Doris Crary, a Scituate homeowner, who said four out of six properties she owns were hit last year with $600 to $900 increases in annual insurance premiums. She said the new rates are unwarranted: Out of her 30 years of owning property, she has experienced only one $5,000 loss due to flooding. I had a friend who used to work for the UK water company. He told me in the 1980’s that in the future there would be flooding because the flood plains were being built on. Spot on for the most part BUT; farmers are NOT enriching the soil, they are stripping out organic matter by ploughing (exposure to sunlight and oxygen) and by using nitrogen fertilizer (over stimulates soil bacteria which ‘eat’ organic matter producing, guess what, carbon dioxide. They do not replace this organic matter and the situation is getting worse with bio-mass and bio-fuel policy. Greenies have some notion that farms produce ‘waste’ in the shape of straw and other crop residues. Wrong wrong wrong, that stuff should go back into the ground. Livestock farmers, should they see an ‘overgrown’ patch of ground will invariably feel compelled to put animals on there to eat it. I’ll refer anyone to a huge discussion was held here about Alan Savory on that subject. Farmers hold so-called Ploughing Matches. The winner is the guy who ploughs the straightest and most even furrow. Wrong again. The real winner should be the man who ploughs most accurately along the contour line, especially if they’re on a slope of 5 deg or more. Farmers are always hoping for and trying to extend the/their growing season. Because water cools the environment (check with Willis on that), farmers drain their fields with ditches and underground porous piping and that turns the land into no more than the expanses of asphalt or concrete sometimes blamed for causing floods..
40 years ago I watched by little river. After a ‘rain event’, I would visit the river to see/watch the flood typically 24 hours after the rain started. Nowadays, the flood waters start running within 2 hours of the rain starting and will have entirely subsided 24 hours later. Runoff is a whole new word to enter everyone’s vocabulary. Wrong again, runoff should not happen except in very major storm events. The land should act like a huge sponge. Think about the sponge in your bath – how much water do you throw at it for ‘runoff’ to occur, let alone for that water to still be on its surface months later. Like all my neighbours, I’d blame The Weather and of course now we can all blame Climate Change. Fantastic, someone else’s fault. I have checked around the data from England’s Met Office stations, there is little to no trend in the rainfall amounts or patterns – It Is Not The Weather or Climate Change. Its the farmers – I know because I am one and I blame (for lack of a better word) WUWT for getting me to think about it clearly. PS if you don’t feel inclined to play with a sponge in your bath, my little test for good vs bad soil is to kick off my shoes & socks off and walk. If the ground is wet/cold/hard/sticky or slippery, that’s bad. It should feel like walking on a good carpet, even with very short cropped/grazed grass. From the Maximegalon Institute for Slowly and Painfully Working out the Obvious. (h/t to Douglas Adams). Who are they kidding? That has been the working premise of hydrologic modeling for at least 50 years! More likely do to isostasy. Alfred Wegener noted that the continents move up and down to maintain equilibrium in a process called Isostasy. Some areas are sinking while, thanks to the removal of the weight of glaciers during the last ice age, some areas are rising. Blaming climate change is a very successful strategy for politicians seeking excuses. The federal government has a problem, a $25 billion problem. That’s how much the federal flood insurance program is in debt. But 2/3 of that debt is due to the failure of federally constructed and maintained levees in New Orleans, and none of it is due to anthropogenic climate change: sea-levels are rising no faster now, after 2/3 century of heavy GHG emissions, than they were 80 years ago. Congress’s “solution” was the Biggert-Waters Flood Insurance Reform Act of 2012. It is a disaster for America. Biggert-Waters is already drastically increasing the cost of mandatory flood insurance on many homes, to ruinous levels, even on structures which have never had an insurance claim. It is doing so to pay off a debt which has nothing to do with actual flood risks for the homes that are being hit with rate hikes of as much as 3000% or more. Additionally, Biggert-Waters contains provisions which appear to be designed to increase the cost of insurance and discourage coastal development. For instance, it has a provision encouraging, for the first time, the squandering of federal flood insurance premium money on private “reinsurance,” of the sort which has wiped out most of the reserves of the NC Beach Plan (now called the Coastal Property Insurance Pool). That’s just a way to siphon money from Americans, and put it into the pockets of (mostly foreign) reinsurance companies. Biggert-Waters is a man-made disaster, and it urgently needs to be repealed. …. BUT; farmers are NOT enriching the soil, they are stripping out organic matter by ploughing (exposure to sunlight and oxygen) and by using nitrogen fertilizer (over stimulates soil bacteria which ‘eat’ organic matter producing, guess what, carbon dioxide. They do not replace this organic matter and the situation is getting worse with bio-mass and bio-fuel policy. Greenies have some notion that farms produce ‘waste’ in the shape of straw and other crop residues. Wrong wrong wrong, that stuff should go back into the ground…. …The land should act like a huge sponge. Well said. You won’t see it in any of the major news but the trend here in the USA is towards a Scorched Earth Policy because of the propaganda about farms and food poisoning. So who is behind this massive attack on our food supply? You guessed it – giant food retailers, agri-business, and anyone with a bankroll larger than the state of Texas. It seems that paying “more than $100 million in court settlements and verdicts in spinach and lettuce lawsuits” (Lochhead, C.) as well as realizing a loss in sales is galvanizing these corporate giants to lead the charge in instituting a quasi-governmental program of new protocols for growing greens safely, called the “leafy greens marketing agreement.”…. Also because of the USDA policy of Agriculture Secretary Earl Butz’s of “get big or get out,” used to encourage the growth of corporate factory-farms and the increasing subsidized production of staples for export, many of the buffer strips and tree lines planted just after the 1930s Dust Bowl era have been removed so that huge tractors can be used on much larger fields. The number of farms in the USA has dropped from 31,974,000 in 1920 to 3,871,583 in 1990. In 1985, there were 3,950,000 farms on the great plains while only 725,000 were in the west and 302,000 in the northeast. We get hit with another 1930s drought we are going to have a ‘Dust bowl’ all over again if farmers are not using No-till, seed drill farming. Yes, the one size fits all excuse, sucha deal! “Never build on a flood plain”… that’s what my father always told me. Some of my in-laws have a house near the Red River in Louisiana, on the dry side of the levee. (which is in the back of their acreage) I myself remember a flood back in the 80’s when the water reached 5 feet deep on the other side of that levee, and stayed there for a couple of weeks. Yeah, the same Red River that has been flooding that land off and on for the last 10,000 years or more. At least he had to put his access road in over the top of the levee, and he wasn’t allowed to chop a hole through the middle of it, like he wanted to do. In the US, modification of the river banks (e.g., adding levees) has played a big role in creating successively worse flooding. I recommend Rising Tide: The Great Mississippi Flood of 1927 and How it Changed America by John M. Barry for a good account of how Army Corp of Engineers projects contributed to the most catastrophic flooding in US history. Interestingly enough, I built near a floodplane. However, I did some careful research. Initial Fema flood plane had not mapped most of the land in the flood plane. The revised flood plane map placed about 60% of the land in the flood plane. However, I spent the time and money for a surveyer to properly map out the land. I’d swear FEMA doesn’t even bother with topographical maps. When accounting for elevations, the water way and a number of other factors, the map looked vastly different than Fema’s mapping. As such, I targeted the highest eleveation, then further elevated the house. Whilst building in proper drainage around it. Then in addition built in proper draining for passing waters. Excavating a path for water for the occasional build up. I did some of this gradually after I was able to observe behaviors when there was a severe rain. I think this is the essential point. It’s true my home may be at a higher risk than some places. Although in observing last years 22 days of rain, where there was a fair bit of flooding in areas, I was in great shape. I saw other houses that were partially submerged, in my case, the water filled up where expected, and stayed far far away from my home. Granted, I did listen to the survey. They got it right. Landscape change is the major issue. For years governments encouraged people to build on flood plains by subsidizing insurance. It not only put people in harms way but caused the lost of 50% of the world’s wetlands. Too re-direct attention from their erroneous ways, they will blame global warming. Shameless. A holistic perspective on changing rainfall-driven flood risk is provided for the late 20th and early 21st centuries. Economic losses from floods have greatly increased, principally driven by the expanding exposure of assets at risk. It has not been possible to attribute rain-generated peak streamflow trends to anthropogenic climate change over the past several decades. Also considering newer publications, this article is consistent with the recent IPCC SREX assessment finding that the impacts of climate change on flood characteristics are highly sensitive to the detailed nature of those changes and that presently we have only low confidence in numerical projections of changes in flood magnitude or frequency resulting from climate change. Seems like the paper is on the sceptical side of the fence to me. An awful lot of crap has been written about flooding and flood control. Let me try and put the record straight very briefly and succinctly. I am a farmer in SW Scotland. The headwaters of the River Annan run through my farm.. All rivers in Scotland are controlled by a quango, the Scottish Envionmental Agency.(SEPA). For many hundreds of years farmers have taken gravel out of the rivers to use in draining fields,,making hard standings, or just clearing gravel bank build ups in the river. SEPA has prohibited this,for many years now. Result- all the rivers are now literally full of gravel and sediment. When it rains there is nowhere for the water to go. On my farm the river bed is 1 metre higher than it was ten years ago.. No surprise when it floods. England has its own EPA of course. The rivers now have to be allowed to take their ‘natural’ course. Result -disaster. Its not rocket science if the rivers are full of gravel and we aren’t allowed to clear them then flooding will ensue. Incoherent; Furthermore, whilst climate change and greenhouse gas emissions are strongly linked to flooding, the relationship is very complex, and to date neither empirical analysis nor data modelling has been able to accurately describe the connections. Say what? There’s a strong link but it’s never been measured or described? Maybe they “just know” it exists?